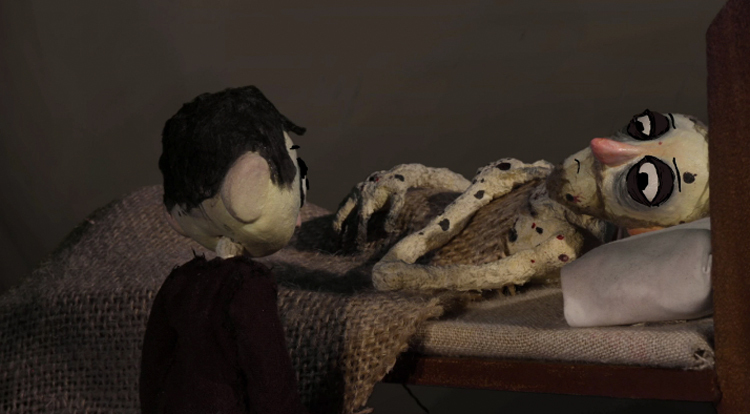 Artist, animator, accordion player and recent CalArts graduate Zoë Moss combines stop-motion and 2D animation techniques in her haunting short The Plague Bearers. This story is one of a family pushed to the edge of survival. Over the course of one evening, young Addison, his dying father William, and William’s dutiful wife Mary must all face their darkest fear; none will go unchanged by the experience.